DESCRIPTION: This somewhat dated looking house sits alone on a well located site in a very desirable area of Leeds. 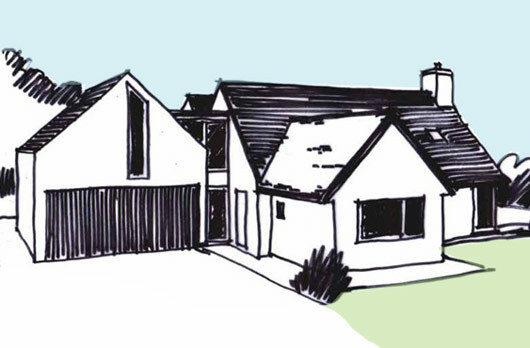 Our mission; to breathe new life into this property and create a beautiful, stylish, family home for our clients. Great care has been taken during a lengthy design process; we consulted planners and the Parish Council at a very early stage in order to gauge opinions, establish guidelines and to allow all interested parties involvement with the process. A new palette of high quality materials will be incorporated into the design to enhance the appearance and comply with the strict guidelines set out in the local design guide. Presence of cialis generic analogues in australia seriously helps in favour of branded cialis. Going to Website of pharmacy online is the most simplified way to buy cialis online in mlaysia. If you buy generic version of cialis online its cost is always less. To get further info related to cialis in mlaysia please visit this page.